This is such a precious advertising card! 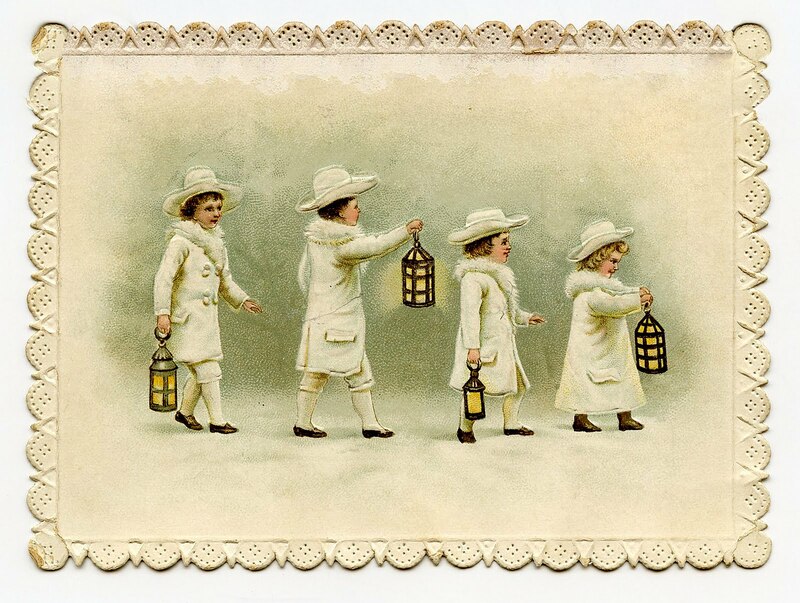 This one shows a Wintery scene with 4 dear little children, walking along the snow, with 4 lit lanterns. The lovely scalloped edge is a nice bonus! This would make a pretty gift tag, glittered up with some white sparkly glitter. Vintage Adorable Child Feeding Bunny Easter Greeting Image! 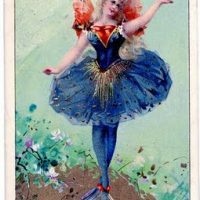 Vintage Clip Art – Dancing Fairy Holiday Gift Clip Art Image – Coloring Page! I wonder who is the author of the drawing of the children with lanterns? It’s old, alright, but is it by a famous painter?